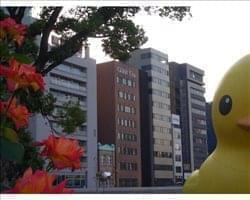 Find My Workspace lists over 95% of the serviced offices market in Osaka. Simply click Request Quote to check pricing for one office, or Add to Basket for multiple offices. 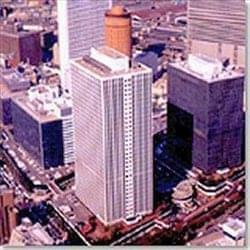 This centre is on the top floor of a 31-storey landmark building in Honmachi, Osaka’s business centre. With a population of over 20 million and a $630 billion (USD) economy equivalent to that of a G7 country, Osaka is a very attractive choice for foreign enterprises seeking to enter the Japanese market particularly in Service and IT industries. Opening soon – Discover floors of coworking and private office solutions equipped to cater to all your needs in a community where companies grow together. These spaces are designed to promote productivity whether you’re a team small or large team and offer month-to-month flexibility so your space can be just as agile as you are. 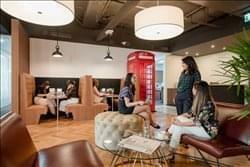 With lounge style breakout areas, a micro-roasted coffee bar, fresh fruit water, and phone booths for when you need a little bit pf privacy this space has considered the little details so you can focus on your business. A real community space that hosts in-house events that connect you organically to your neighbours. More information on this location is coming soon, but we’re gladly accepting inquiries. Get in touch today to schedule a visit. This centre is located in the Golden Triangle, and offers fully furnished offices equipped to meet all the needs of a modern company. Outstanding services and facilities include fully furnished offices, meeting and conference rooms, state-of-the-art Internet and network access, 24-hour security and access. There is also a spacious reception area creating the ultimate environment of service and business support. 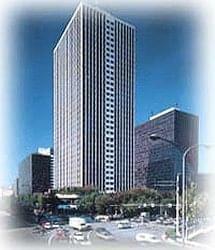 This building is located in the Umeda area, which is the most famous and convenient address in Osaka. The area is considered a most prestigious location by both locals and foreigners and as Osaka’s largest commercial zone and as a traditional business district. This professional business centre is perfect for those on the move all the time. Offering fully furnished executive suites and open-plan office space, this centre has a solution to nearby all business requirements you might have. The business centre prides its-self on its bilingual staff, who are on hand to help serve multinational customers and take care of all your daily administrative needs and support the growth and development of your company. Further to this there are great on-site facilities including meeting rooms, a kitchen area and a business lounge. 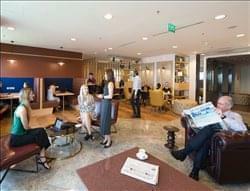 Reasonability which the “serviced office” offers is what you have been looking for to pursue your dream business. Sophisticated and fully equipped office in business downtown with high quality service is the best way to create positive brand image of your business. Choose the most suited one from our varieties of plan and use your office effectively. The centre supports your business with a thorough care for every business settings. Our style would boost your business to grow into a new phase . We also aim to be your foundation where you can grow your business with our great support. A well-appointed, stylish office space offering private offices, co-working and virtual office options. 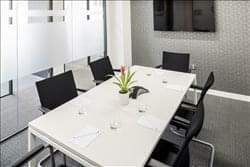 Beautifully designed meeting, conference and boardrooms are available to use. All are equipped with state of the art IT communications equipment. Stunning pieces of artwork line the walls. The space is filled with ergonomic furniture and breakout areas feature sofa-style booth seating. The onsite management team are on hand to assist with any business requirements. Enjoy unlimited tea and coffee. Secure high-speed WiFi keeps your operations on the go. Enjoy 24 hour access to your work-space. This building is located in Osaka’s most famous and largest shopping area, which includes several luxury brand stores. The scenery of this area varies greatly as the seasons change. The city enjoys the Ginkgo Biloba trees along the Midou-suji boulevard that turn into golden colors in autumn. There are several high-end brand apparel companies giving this building a truly luxurious atmosphere. 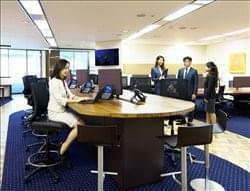 This office facility is the 4th centre in Osaka and is located next to Shin Osaka Station which provides key access from Tokyo and major cities in west Japan via the bullet train or ‘Shinkansen’. The building is connected directly to the station, and contains retail shopping facilities in lower floors, and a hotel. Large local enterprise JR Tokai use the building as their regional branch office. Financial and IT companies are also major tenants. 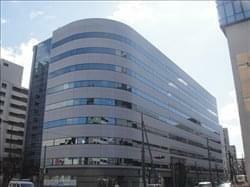 This centre is an ideal location for the establishment of branch offices for the Osaka and Kansai area, and for satellite offices to serve Osaka. This business centre is situated on the 19th floor in a 30-story skyscraper, in a prominent business location. 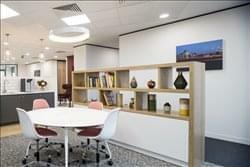 The centre offers fully furnished executive suites, open-plan office space, co-working areas and virtual office options. All of which are available on flexible terms and fully customizable to your unique business needs. Meeting rooms and a business lounge are also on-site and available for tenants to use, perfect for networking with other professionals who work within the business centre. There are also great on-site amenities including the Parks Garden, and several cafes/restaurants, perfect for not having to go far to grab some lunch or your morning coffee. This professional business centre offers a range of office types, making it perfect for nearly all businesses. All offices are fully furnished and equipped with everything you could need, further to this they are fully customizable and available on flexible terms. The centre also has a kitchen area and meeting rooms which are available for tennants to use, perfect for not taking up valuable space within your desk area. This office centre provides a simple but efficient facility for your business needs. Located in a boutique property in this leading business district, it is suitable for all types of businesses seeking small sized offices with economy prices and are suitable for business start-ups, SOHO and SMEs. This comfortable modern serviced office provides a range of workspace solutions on flexible terms to meet the needs of your business. A range of business amenities is available, and the centre offers 24-hour access. Available is workspace for businesses large and small, and also co-working offices where you can take a desk and work among like-minded people with an open, collaborative feel you just don’t get anywhere else. Also on offer is a virtual office package which provides a prestigious business address and a local contact number answered in your company name, where a professional team will manage your calls and handle your mail. This office space offers a perfect solution for local and overseas companies looking for flexible, fully-equipped work space with comprehensive services at a reasonable price. This modern building is linked to the Hilton and Ritz Carlton hotels, numerous restaurants, the Hilton Plaza, and the upscale Herbis retail precinct with its expansive (and largest in Western Japan) Louis Vuitton boutique on the ground floor. Offering a fully equipped corporate boardroom (seats 14 people), comfortable, fully equipped meeting rooms, executive business lounge and exclusive access to conference and meeting facilities in Hilton Plaza West Office Tower. This centre is designed as a open space with a very warm and friendly environment. This centre is particularly suitable for start-up entrepreneurs. This centre has friendly and professional staff and offers clients excellent supporting services. Currently available are desk spaces for hot desking. Tenants will have access to their own desk and full office facilities. To obtain information for your selected Osaka Serviced Offices, please tick the "Add to basket" box for each office you prefer and complete the form below. We will then send a detailed report via email.